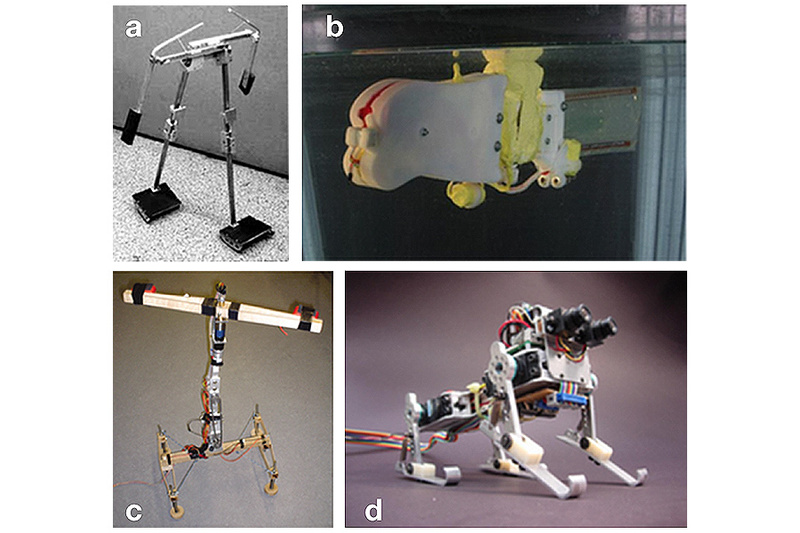 Novel designs in soft robotics reference simplicity as well as versatility. 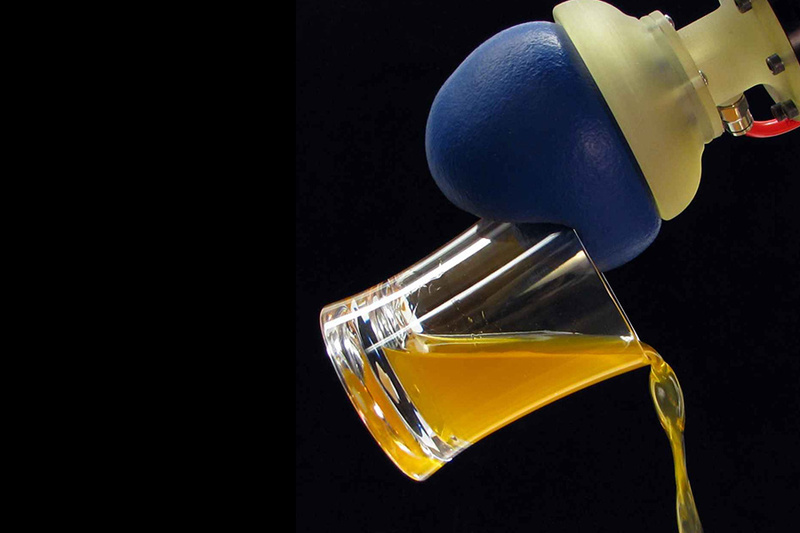 The Jaeger-Lipson coffee-balloon gripper is one example. Essentially a balloon, it’s filled with ground coffee and can be either soft or hard depending on the air pressure within it. It can grasp objects using a simple one-dimensional control variable (switching the vacuum on or off). By exploiting its soft morphology, the end effector adapts itself to the object without the need for any explicit modelling or control. Morphological computation proposes that at least some aspects of control (such as walking or grasping) can be outsourced to the body as these functions are already “encoded” within it. Another way to see it is that the body can be exploited as a computational resource. This makes a task much easier, since part of the “work” will already have been done by the body, reducing the complexity of the robot’s computational problems and the corresponding control and learning tasks. The soft body of the octopus has potential as a computational resource. So what kind of computation can we carry out in the physical bodies of robots? Biological systems have to take sensory information and interpret or transform it into sensible actuation signals. The computational process is a dynamic mapping of continuous input streams onto output streams, with a feedback loop through the environment. This could be, for example, a nonlinear controller that is implemented in the morphology to stabilize running – a controller is nothing other than a dynamical system, after all. In the case of morphological computation, this system is simply part of the body instead of an algorithm in some external, digital computational unit. Fundamentally different from digital computing processes, morphological computation is not based on a Turing machine with discrete steps and finite time; it takes place in the continuous, analogue realm and is carried out directly in the body. It can also be broadened out beyond the shape and form of body parts, into parameters that describe its dynamics, such as stiffness, friction, or damping. The dynamic parameters of the environment also shape the type of computation. For example, a compliant leg interacts with the ground (when it impacts), and a soft hand deforms by grasping an object. 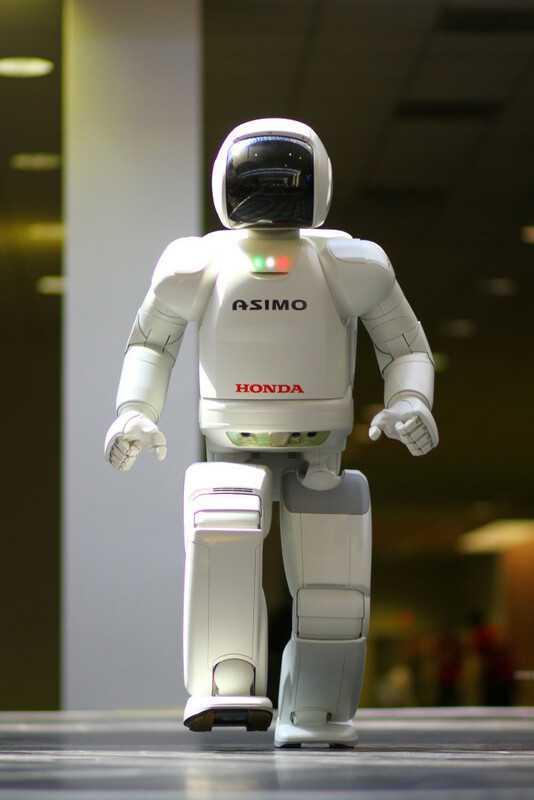 Asimo has rigid body parts. While it is an ingenious piece of hardware, its body is not useful for morphological computation. Recent studies in morphological computation  suggest that a computationally powerful body needs to exhibit highly complex dynamics (i.e. high-dimensional state space, nonlinearities and under-actuation). But in most classical robot designs, such as the Asmio robot and many industrial robots, these properties are deliberately suppressed as complex dynamics can interfere with modelling and control. The concept of morphological computation has been widely used in robotics for some time now. Some nice examples are listed by Pfeifer and Bongard in their influential book “How the body shapes the way we think” . Many of these robots were built using a combination of bio-inspiration, intuition, and clever engineering. Until recently, there were no clear guidelines for their design. To fill this gap, we developed two theoretical, mathematical models , that attempt to describe how bodies can be exploited as computational resources. In order to provide a descriptive generic model, we used networks of simple mass-spring damper systems – a good approximation for biological, but also soft, robotic bodies. The underlying idea is to use morphology as a computational resource to emulate complex behaviours. The range of possible computation is impressive. Theoretically, there are almost no limits. We were able to show that physical bodies can be used to emulate complex nonlinear differential equations (e.g. nonlinear controllers). We demonstrated setups to emulate nonlinear limit cycles that are highly robust and are even able to generalize beyond their learned data sets. Such limit cycles can be used to produce a control signal for locomotion. We were even able to demonstrate the use of the body as a switch between different limit cycles (behaviours) based on physical inputs (forces applied to the system) that could come from the environment. The implications are that the body can also serve as a type of sensor, enabling the robot to sense change through its soft body and react appropriately. One possible application could be a robot that is able to “feel” the weight on its body, enabling it to adapt its locomotion by producing (computing) different limit cycles accordingly. Theoretical results aside, a number of real-world platforms have exploited soft complex bodies as a computational resource. 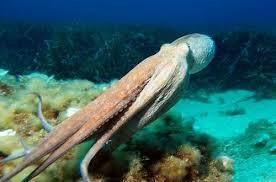 For example, in the EU project OCTOPUS we showed that a passive silicone arm (inspired by the octopus) can be used to carry out complex computational tasks [5 and 6]. We built a quadruped robot with compliant spine that we used as a computational resource to control its locomotion . We also demonstrated, in a more industrial setting, that a modular, pneumatically-driven robot arm (developed at TU Munich by Martin Eder) can be exploited via morphological computation [paper close to submission]. Another example is NASA’s tensegrity robot “SuperBallBot,” with applications in exo-planetary exploration . Soft robots can exploit their bodies for computational tasks that can make them more robust, faster (they respond in real time) and, potentially, more energy efficient than their hard counterparts, as they work with rather than against their body dynamics. The addition of smart materials enables body parts to take over not only actuation, but also the task of sensing the environment and processing this information. This may even extend to situations where parts of the robot break down, resulting in highly resilient, adaptive and intelligent machines. A morphological computation approach will allow us to design robots that can easily switch from one behaviour to another. For example: from a stable limit cycle (during locomotion) to an exponentially stable equilibrium point (for a reaching task), e.g. . The concept can be applied to a range of intelligent structures. For example: smart furniture that adapts to the movement of its user, haptic interfaces and wearable soft devices for rehabilitation or teaching novel movements (e.g. a new sport). Even smart architecture that reacts to environmental changes. In the future, self-assembling systems could also exploit morphological computation. Since the morphology defines the function/computation, by changing the morphology, we can “reprogram” the machine. Because of their complex dynamics, soft robots potentially have a more computationally powerful body than rigid robots. Morphological computation turns the complexity, which has been perceived as a disadvantage in robotics, into a powerful benefit. Looking at the work done so far, we believe there is great potential for other applications and novel ideas and we are looking forward to the future. 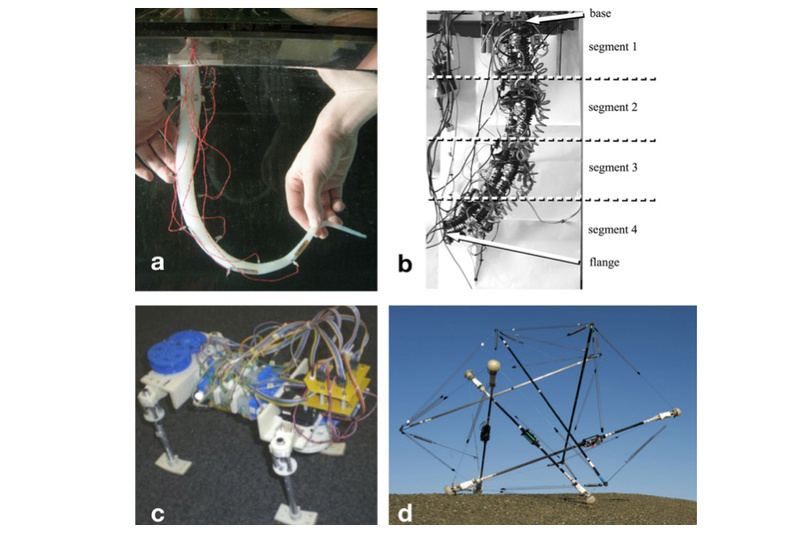 Want to learn more about soft robotics? Come to the Industrial Networking and Engagement Day on Soft Technologies on October 8, 2015 in Bristol, UK. This is event is geared toward people from the private sector who want to explore the possibilities of soft technologies and soft robotics in their field. Pfeifer, R. and Bongard J. “How the body shapes the way we think: a new view of intelligence” MIT press, 2006. McEvoy, M. A., and N. Correll. “Materials that couple sensing, actuation, computation, and communication.” Science 347.6228 (2015): 1261689. Hermans, Michiel, et al. “Trainable hardware for dynamical computing using error backpropagation through physical media.” Nature Communications 6 (2015).